Authentic Steven khalil dress. I wore this beautiful dress last year. 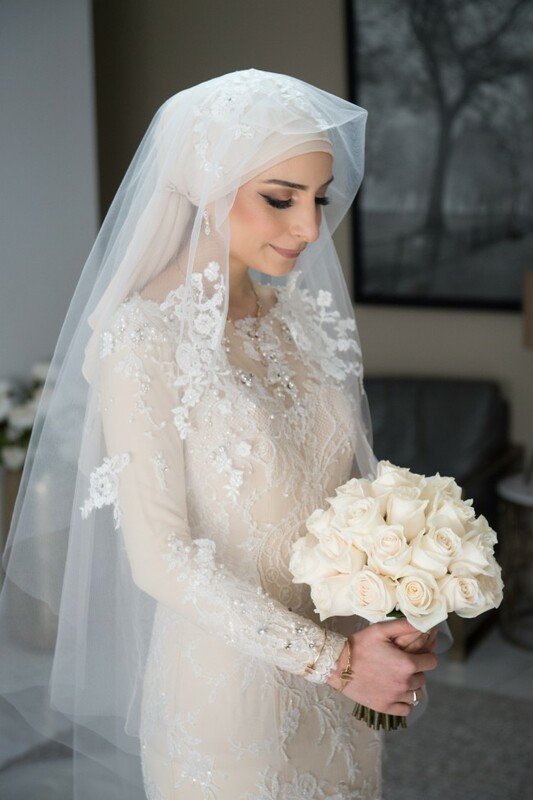 I bought it and took it to Sarah Tai bridal alteration to add the extra layer under the sleeves as I didnt want to wear a top underneath. The colour is cream and will look amazing in photos. Has swarovski crystals on the dress and veil and scarf are included. Unfortunately though, i found there is a small tear at the back on the end of the train, but it can easily be fixed. Once you send a message, Jouri can invite you to purchase the dress.